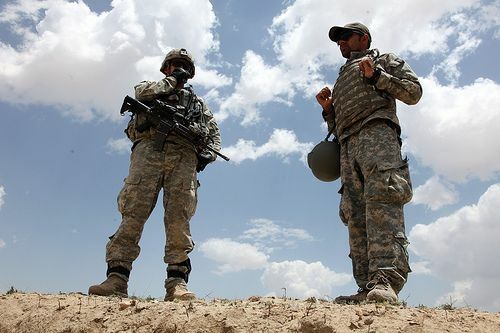 US Army 1st Lt. Nick Eidemiller, left, communicates with his platoon by radio while his interpreter stands next to him during a mission in Jaghato District, Wardak province, Afghanistan, on July 8, 2010. Photo via the US Army by Sgt. Russell Gilchrest.